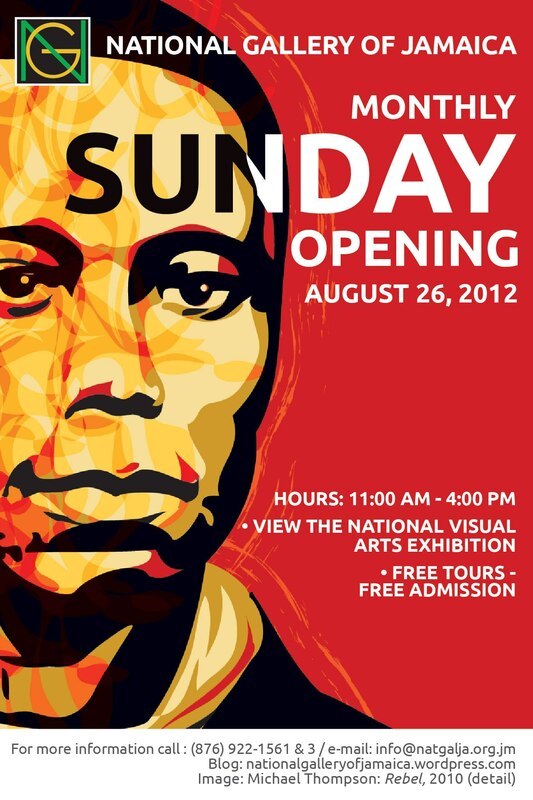 This Sunday, August 26, from 11 am to 4 pm, It will be your last chance to see the 2012 National Visual Arts Competition and Exhibition at the National Gallery of Jamaica. Regular tours will start at 11:30 am, 1:30 pm and 3 pm and a special children’s activities tour at 2 pm. Support Jamaican Art! This is a Must See!